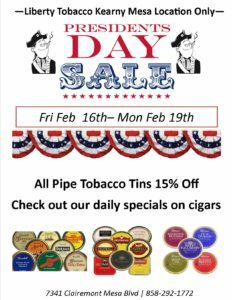 Join us at Liberty Tobacco for our Presidents Weekend Sale. 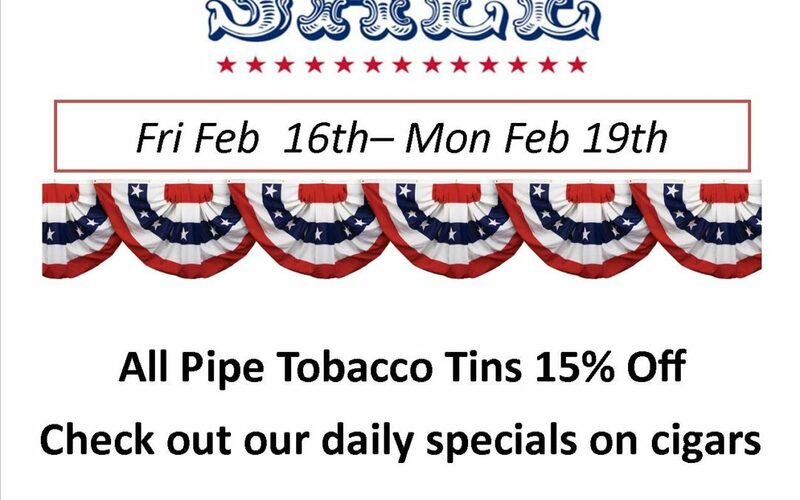 15% off all Pipe Tobacco Tins. 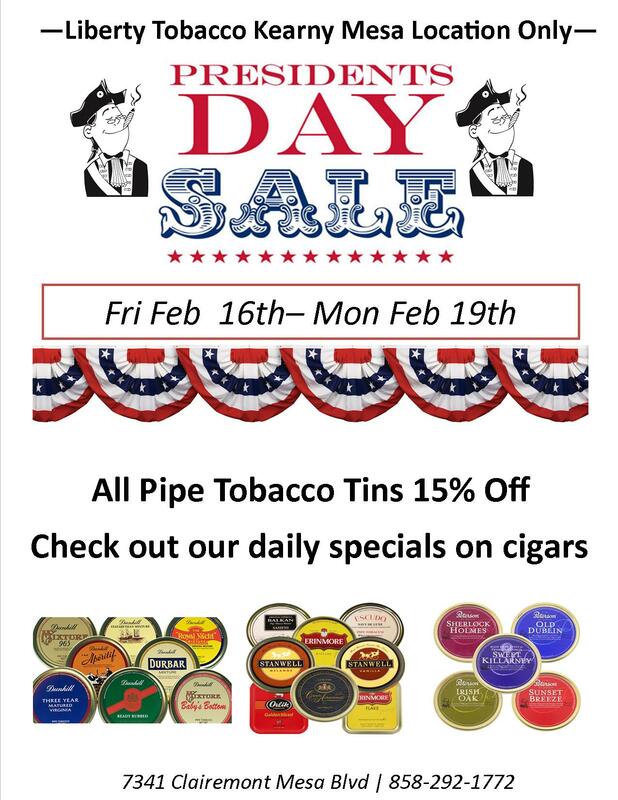 Be sure to check out our daily specials on cigars.